The Mallard in Flight Needlepoint Pillow is a beautiful handmade pillow. The realistic mallard duck spreads its wings while in flight. 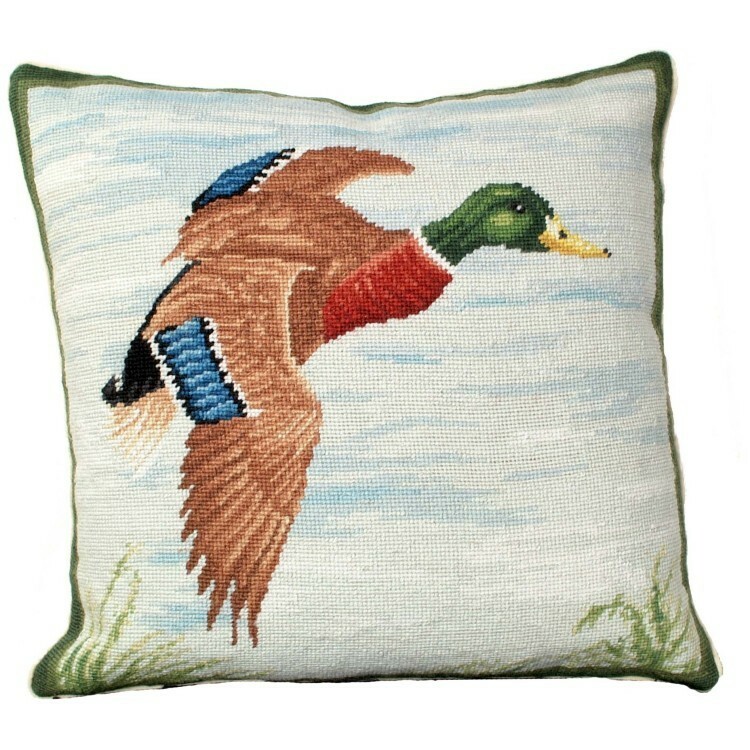 Rich brown, greens, blues, reds, and gold engulf this pillow. Made from 100% wool with a cotton velvet beige zippered back.